Vital to any “Rating” system of professional advisors is a “Standard of Care” that must be upheld when giving advice to clients. A failure to do so shall constitute a breach of the “Standard of Care” and subject a “Rated” advisor to disciplinary action or revocation of their rating. To help “Rated” advisors help their clients and comply with the SOC required by the Society, the Society has created what it believes is a comprehensive checklist a “Rated” advisor should go through with each and every client. To review this checklist, please click here. The APS™ believes that the following list of advisors would breach the above standard of care if they help a client in their particular fields and do not incorporate asset protection planning. Asset protection planning has become a “core” issues when helping clients with any kind of plan that deals with their wealth. With negligence suits running wild against average Americans, it is imperative for advisors to be well versed in at least the basics of asset protection planning. 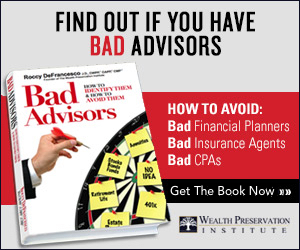 Advisors are not required to become “experts” in asset protection planning in order to meet a standard of care. However, core domestic asset protection planning is not a difficult topic to learn and the burden of learning the subject matter is small. To read simple examples of a typical breach of the APS™ standard of care, please click on each of the specialties outlined above. For questions regarding the Standard of Care “Rated” advisors are held to, please e-mail Email Us.